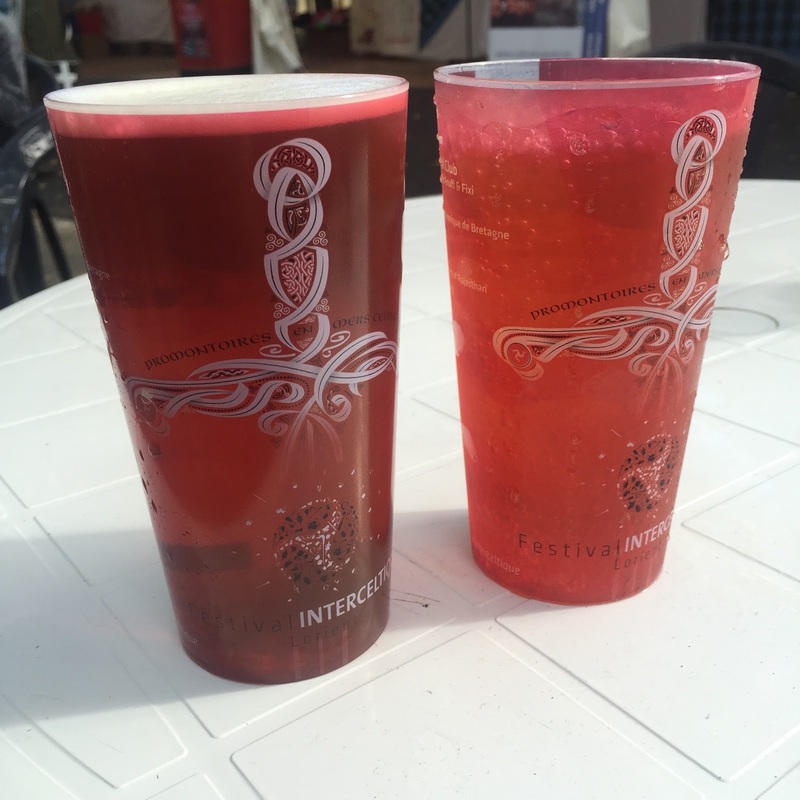 Festival Interceltique de Lorient (FIL) was one of the highlights of summer 2015. The festival jointly featured the Isle of Man and Cornwall as host nations - in what they call the ‘Année de la Cornouailles et de l’Île de Man’. The festival ran from the 7th to the 16th of August 2015 and it incorporated a staggering number of events and cultural delights from numerous Celtic nations. The festival attracted a huge audience this year, with around 750,000 attending. Each of these visitors would have undoubtedly noticed the prominent Manx flag within the festival branding and they would have had opportunity to wander through the impressive Cornish & Manx pavilion - which was situated centrally, next to the ‘Palais de Congrès’. The 2015 festival logo featured a swirling celtic-inspired sword which represented the ‘Manx Sword of State’ and also possibly signified King Arthur - in that he might have originated from Cornwall. One side of the hilt of the sword was decorated with the Manx flag, the other with the Cornish flag. The festival triskelion was then displayed on the blade of the sword. If the festival-going public had somehow missed the Manx flag on the branding, then they surely could not have avoided seeing the ‘Three Legs of Man’ bunting in the streets (5km of it, I believe) and the constant interest around the Manx & Cornish pavilion. I was initially invited to perform in Festival Interceltique de Lorient with the Trumpet and Organ duo, ‘Chronicles’ with David Kilgallon. We were invited to play in the grand ‘Eglise Saint Louis’ in the heart of the town in the ‘Musiques sacrées Île de Man/Cornouailles/Galice’ concert. David Kilgallon and I have performed there together twice before and we were delighted to have been asked back. With the Isle of Man being one of festival’s featured nations, we found ourselves to be even busier than in previous years, a feat that I would not have thought possible. I had a busy performing schedule which included participating in the ‘Nuit Interceltique’ at the stadium, the ‘Soirée d'ouverture : « La Cornouailles et l'Île de Man, une célébration Interceltique»’ at the Grand Theatre, the ‘Grande Nuit de la Cornouailles et de l'Île de Man’ at the Espace Marine and the ‘Musiques sacrées Île de Man/Cornouailles/Galice’ at Eglise Saint Louis. I played a small role within this huge stadium event, which must have easily featured over 500 artists in a stadium with an audience capacity of around 18,500. When the Manx and Cornish feature began, I played a call of ‘Peter O’Tavy’ (a Manx tune) and it was echoed by a Cornish trumpeter. She then played Cornish tunes and I repeated them. While this was happening, the Ny Fennee musicians and dancers were assembling, getting ready to perform. Then Cornish dancers reciprocated. The Manx choir, ’Caarjyn Cooidjagh’ then sang and a Cornish choir performed after them. In this sense, the stadium set was culturally symmetrical and it showed the similarities and differences between the Manx and Cornish traditions with similar groups performing consecutively. The finale was an ingenious interweaving of Manx and Cornish dance traditions, accompanied by the associated music. The Manx and Cornish cultures are very different so it must have been tricky to engineer a dance that would adequately display both styles. Despite the difficulty, the dancers managed to share the time in the spotlight and exchange their traditions with one another - while still maintaining both celtic identities within one clearly-structured dance. This was a fantastic achievement. The ‘Nuit Interceltique’ was broadcast on French Television, giving the Island and the festival national publicity. It was a first for me to perform in such a large stadium and it is also unusual for any trumpet player to need a microphone to be heard - but it was a necessity in this huge space. The show finished with a spectacular firework display and the featured nations stood in the central position in the stadium for the finale. The first half of this variety concert showcased many of the performers and artists from the featured nations, from whom we would hear more throughout the festival. The second half of the concert gave us the opportunity to perform David Kilgallon’s ‘The Gathering’, which had been specially commissioned for the festival. The commission, entitled 'The Gathering' is a five-movement work, written as a celebration of Celtic cultures. 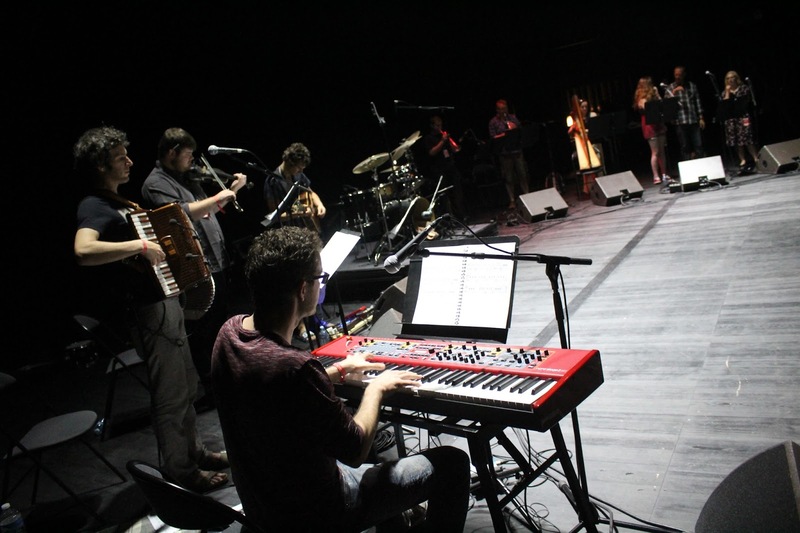 It included musical ideas, performers and dancers from several of the Celtic nations and it involved inter-celtic collaboration - so its values were at the heart of what FIL is all about. The piece was written in notation and scored for Piano, Accordion, Fiddle, Bouzouki, Drum Kit, Trumpet, Clarinet, Harp and voices. 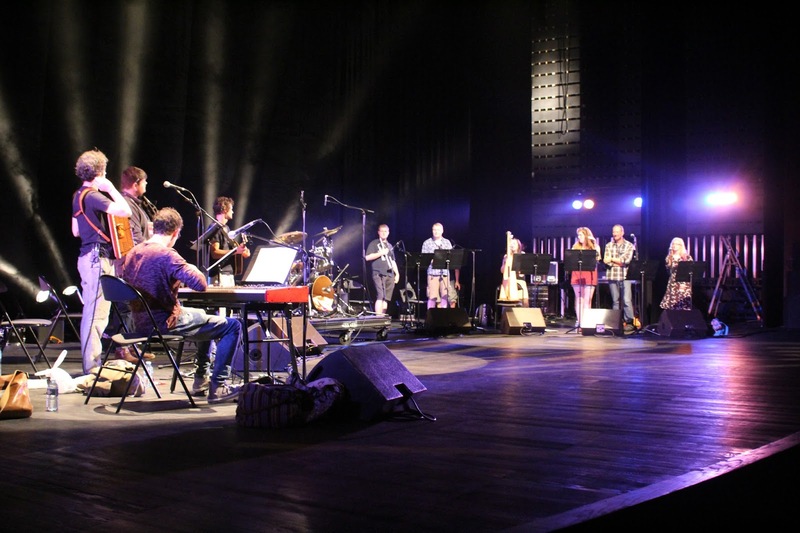 ‘The Gathering’ brought together Celtic performers to play this specially-composed Celtic-influenced music. The piece is one of the finest modern compositions I have ever played and it showcased David Kilgallon’s excellent musicianship and musical vision. It clearly displayed that David has an incredible understanding of what each of his chosen performers is capable of. The performance included dancing from Manx and Cornish dancers and it was spectacular, in every sense of the word, from start to finish. For me, the Grand Theatre performance of David Kilgallon’s was one of the main highlights of the festival. When speaking of highlights of the festival it would be impossible to forget the ‘Grande Nuit’ at the Espace Marine. The Isle of Man contingent had been allocated the first half of this concert and the Cornish contingent had been allocated the second half. The organisers of the Manx contribution had really pulled out all the stops to give a performance that must have taken months of planning. The show integrated Manx music with Manx dance and Manx folklore. It was later nicknamed ‘the Manx Riverdance’ and it managed to segue seamlessly from one ‘act’ to the next without delay. The result was a scintillated and transfixed audience. The production included dancing from Ny Fennee, Ali Carroon, John Kilgallon and Gráinne Joughin; and music from: Mec Lir, Barrule, Caarjyn Cooidjagh, Ruth Keggin, Greg Joughin and the Rushen Silver Band. The ‘house band’ varied between several performers - with the main quorum coming from Mec Lir and Barrule. They were utterly brilliant. 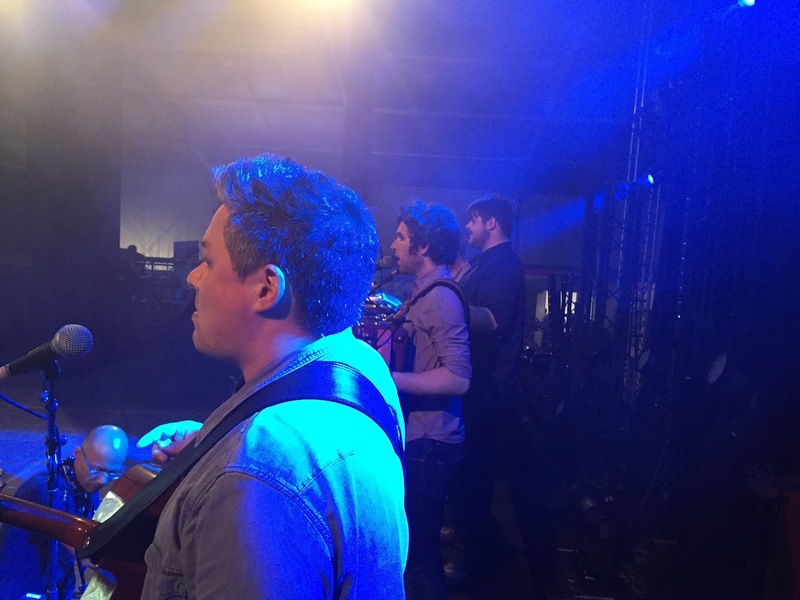 Their music helped to mould the whole show together. They were very professional in their decorum and they performed at the highest musical standard. I was fortunate enough to be asked to perform with them, which I did at the opening of the show. Dancers from Ny Fennee danced near the figure of Manannin, amid smoke machines and atmospheric lighting, while I played ‘Irree ny Greiney’. Later in the show, I also played with Barrule in their accompaniment of the dancing in ‘Mylecharaine's March’. The whole production was incredible and literally hundreds of components had fallen* perfectly into place to give an integrated and holistic display of the Island’s fantastic culture. There was a full standing ovation before the interval and the festivities continued until the end of the show. The joint curtain-calls and dancing with the Cornish contingent finished the show and both Rushen Silver Band and the Camborne Town Band (from Cornwall) came back for the curtain-calls. I have never before seen so many people so electrified by their involvement in a show. It was incredible. *Saying that the components had ‘fallen’ into place makes it sound like it just happened by accident. It actually happened thanks to a lot of careful planning, stage-managing and guidance from the brilliant Culture Vannin team. David Kilgallon and I performed in the Church concert. It is perhaps one of the lower-octane performances (compared to the above) that takes place within the Lorient Festival but that does not mean to say that it is not exciting. We started the concert this year (as I had to go to the Stadium for the Nuit Interceltique at 10pm) and we began with a performance of ‘Mannin Vooar’, which we have adapted for Trumpet and Organ from David’s original solo organ arrangement/composition. Next followed a progressive interpretation of the Norwegian song ’Når månen tindrar’, and then we played a suite of complicated and fast-moving Irish tunes by Eoghan O’Cannabain. We finished as we began - with a Manx tune - and we played the two tunes that we deemed to be the unofficial ‘anthems’ of the Manx contingent at FIL - Irree ny Greiney (by Bob Carswell) and Mylecharaine's March. In addition to these main performances, I had also been asked to play at: the Mayor of Lorient’s garden party, ‘Club K’ (playing for the sponsors and VIPS of the festival), at a ‘Chronicles’ press interview in the Palais de Congrès and I participated in additional performances at the Cornish and Manx pavilion. I had the great privilege of playing with Mec Lir one evening, after the stadium performance. Mec Lir had attracted record audiences to the featured nations’ pavilion and they had really been raising the excitement level for the whole festival. [An unofficial video taken of them in their Press Interview in the Palais de Congrès has been added to Facebook and it has since received over 1.3 million views!] 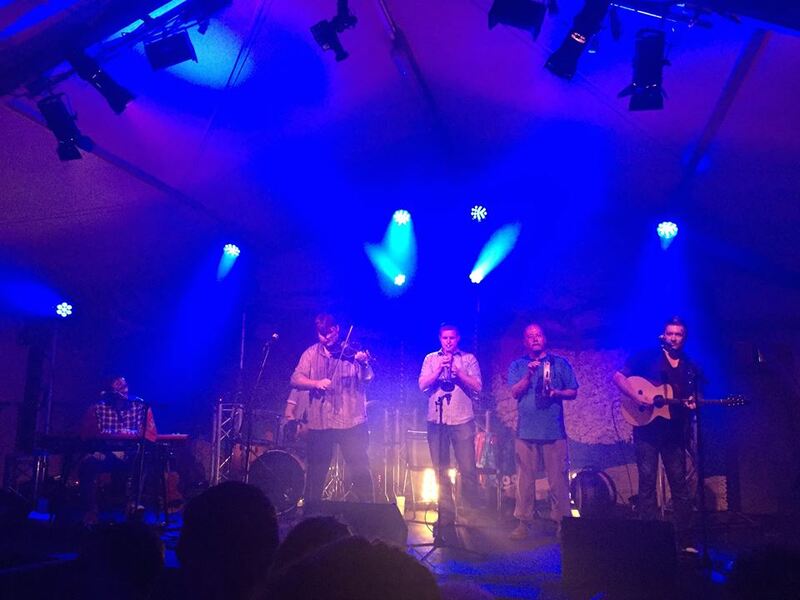 It was a real thrill to play with Mec Lir in front of a huge crowd in the Manx/Cornish tent! 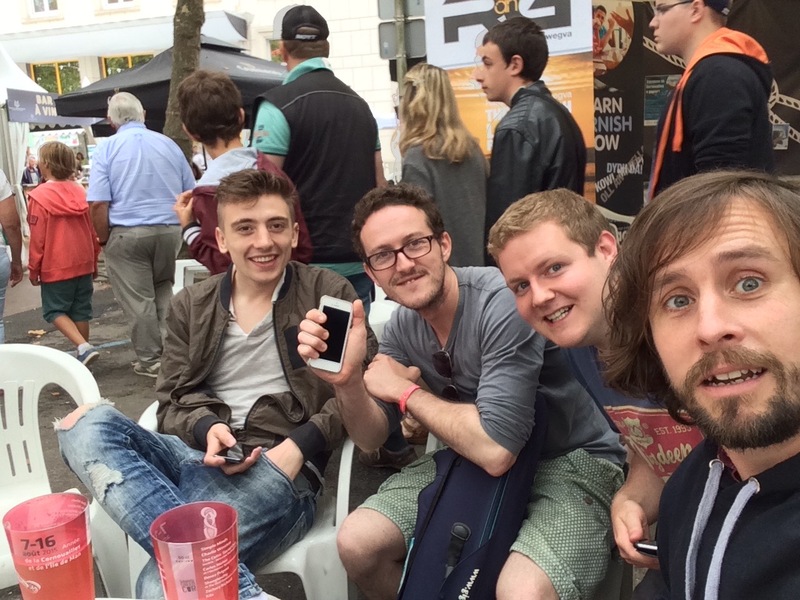 I haven’t even had chance here to write about all of the other fantastic Manx acts that were at the festival. The schedule was so diverse and busy that it was hard to keep tabs on what was happening and lots happened simultaneously! I do know that fantastic work was being done by other artists that I hardly got to see, including (in no particular order) Rachel Hair, The Mollag Band, Strengyn, Matt Creer, Cairistìona Dougherty, the Williams family, Scammylt and Nicola Dixon. (Apologies if I’ve missed anyone out). The Manx Pavillion was also run by a team of dedicated volunteers and they worked so hard to promote the Island’s culture and to serve Manx beer and to cook Manx food. The whole event was musically fulfilling, culturally inspiring and socially excellent. Thank you to all at Culture Vannin and Festival Interceltique de Lorient.